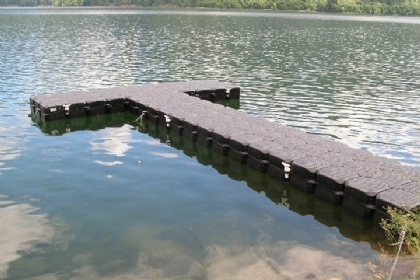 The Conventional T-Shape Floating Dock & Walkway is 5 ft. wide by 20 ft. long plus 5 ft. wide by 18'4" long. 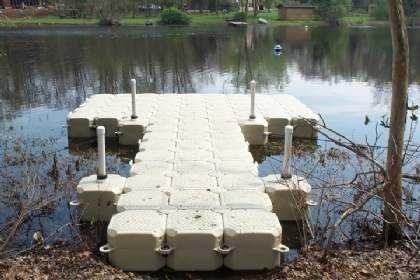 This floating dock features a modular, changeable design that allows floating walkways of any size and style to be created. Perimeter tie-off cleats included with this products. 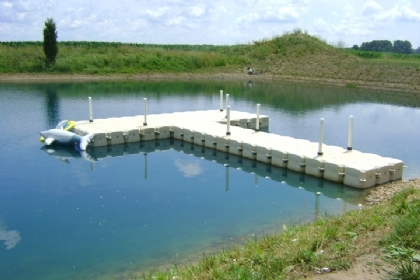 Used for many applications including speed boats, pontoon boats and personal water crafts. The t-shape floating walkway is also great for loading and unloading passengers with the non-skid surface. 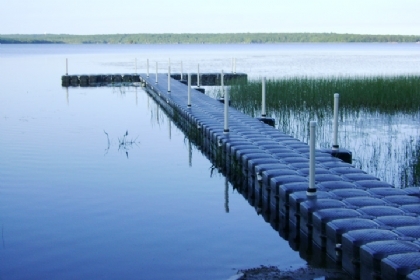 Learn more about ordering floating docks by calling 1-800-538-3625 or email us today.